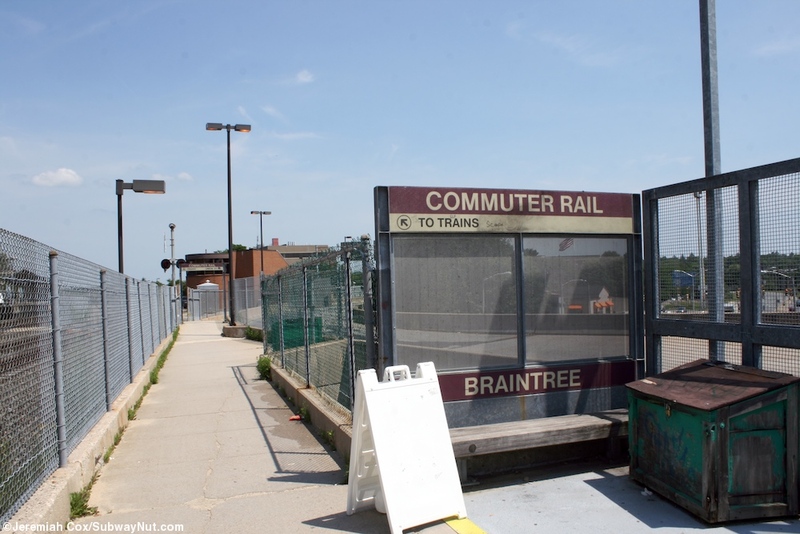 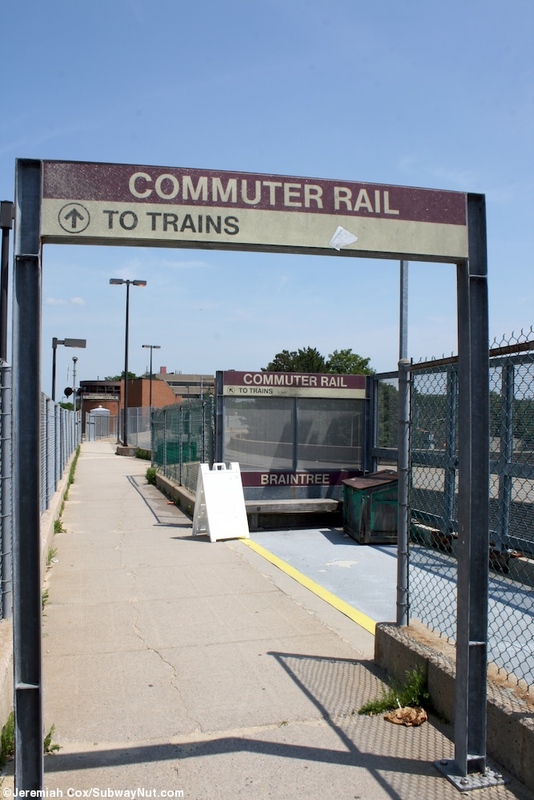 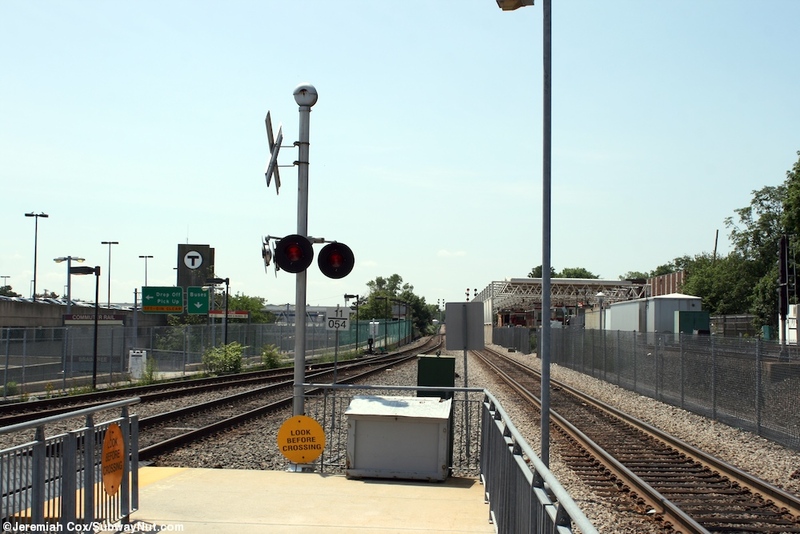 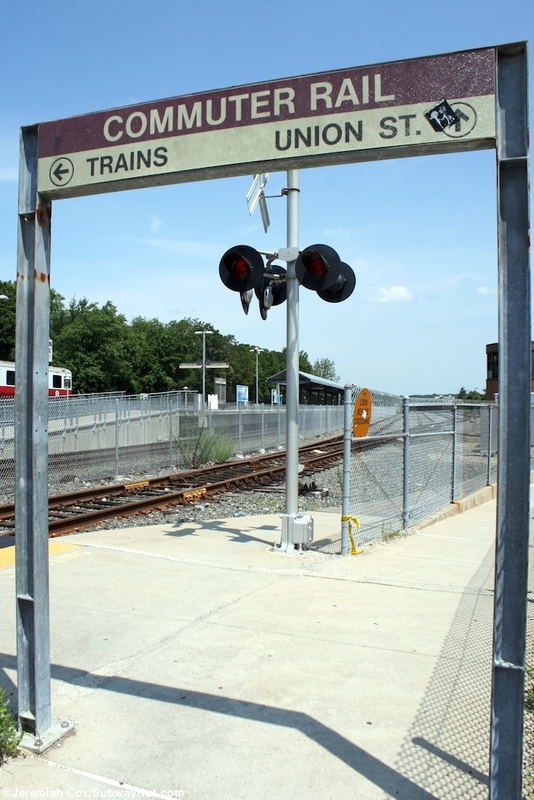 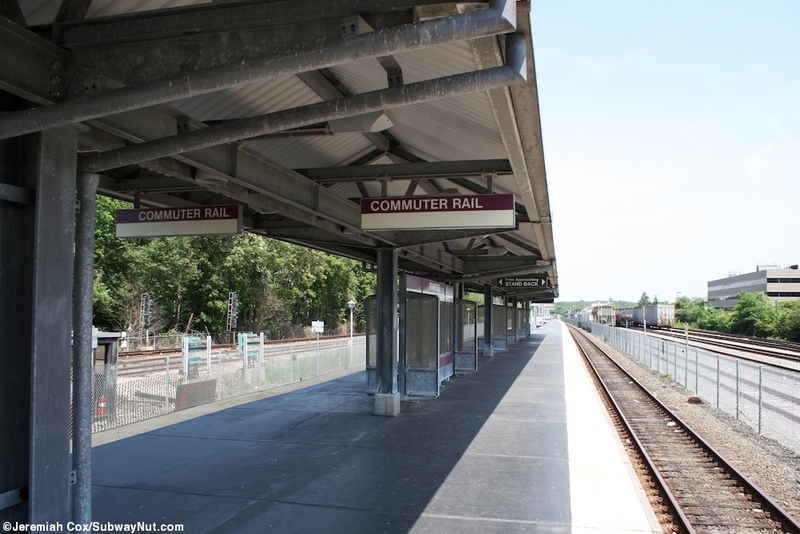 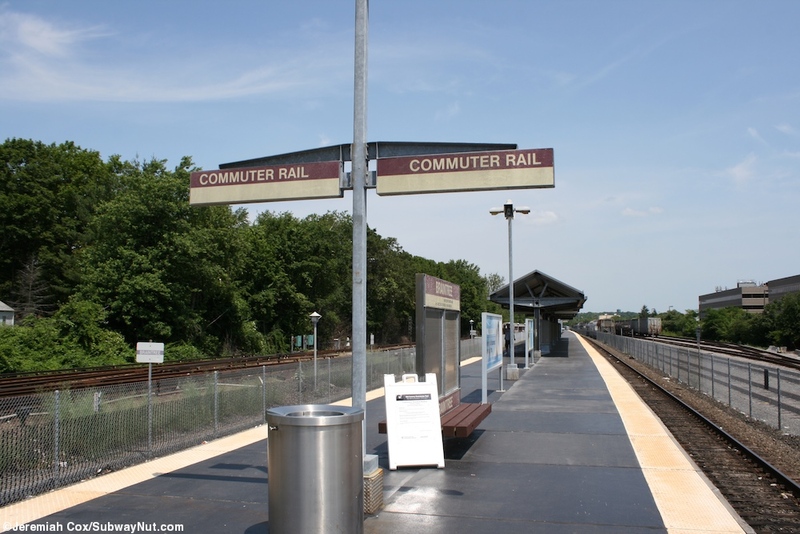 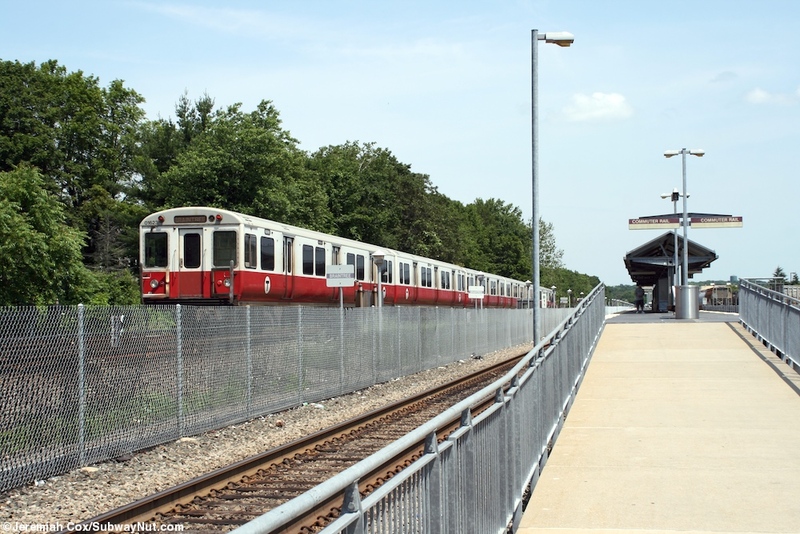 The Braintree Commuter Rail platform is a high-level island platform on the line that becomes two tracks for the station just north of the subway terminal. 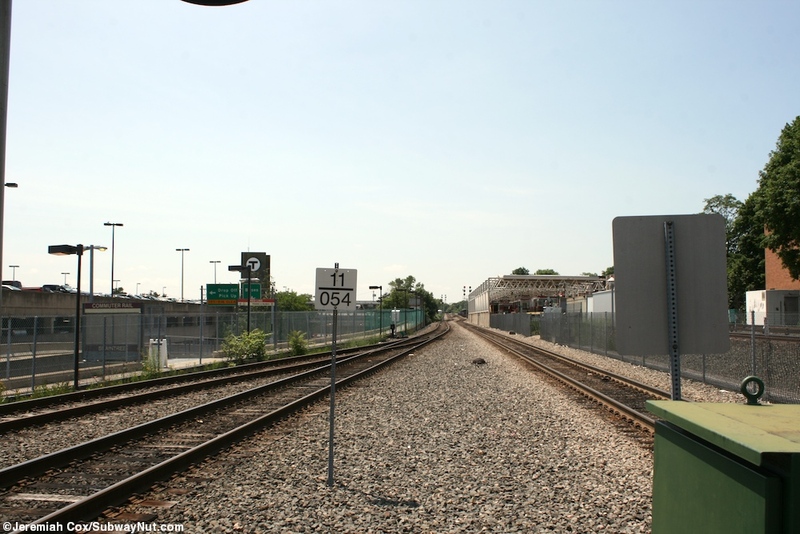 Alongside the platform are some freight sidings. 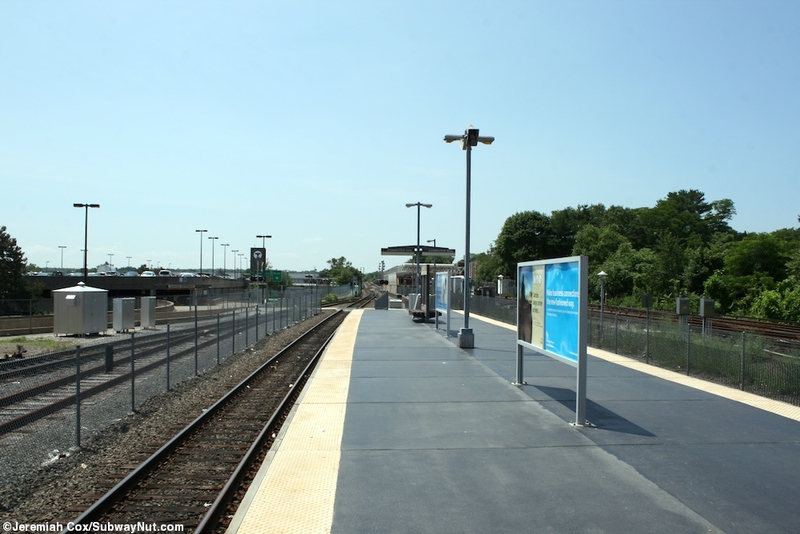 This long platform has a small, canopied midsection where benches are for waiting passengers. 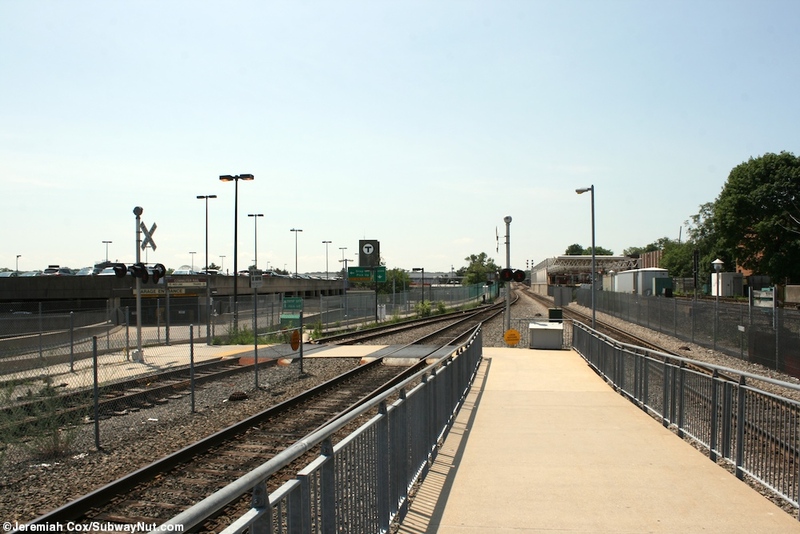 It has a single means of entry and egress with a ramp down to its southern end that leads to a belled and lights grade crossing over one of the tracks (the directional sides of the platform are not specified) to the walkway along Union Street that leads to the Red Line Station or that street. 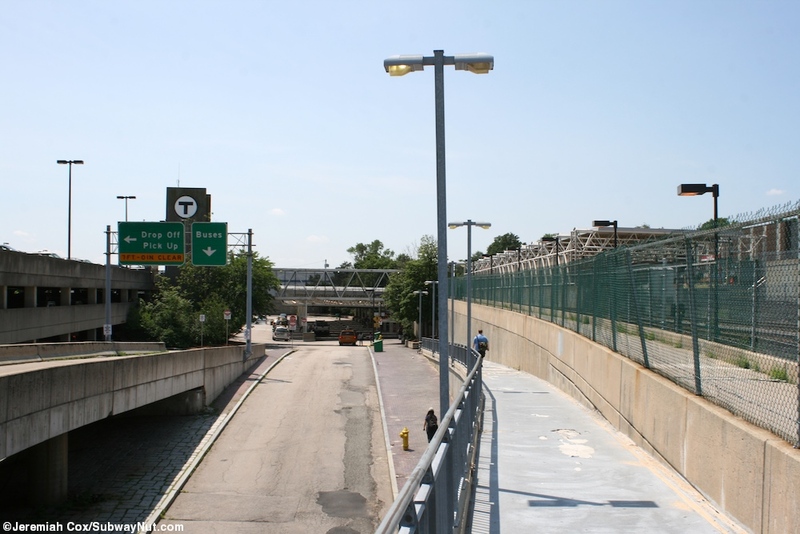 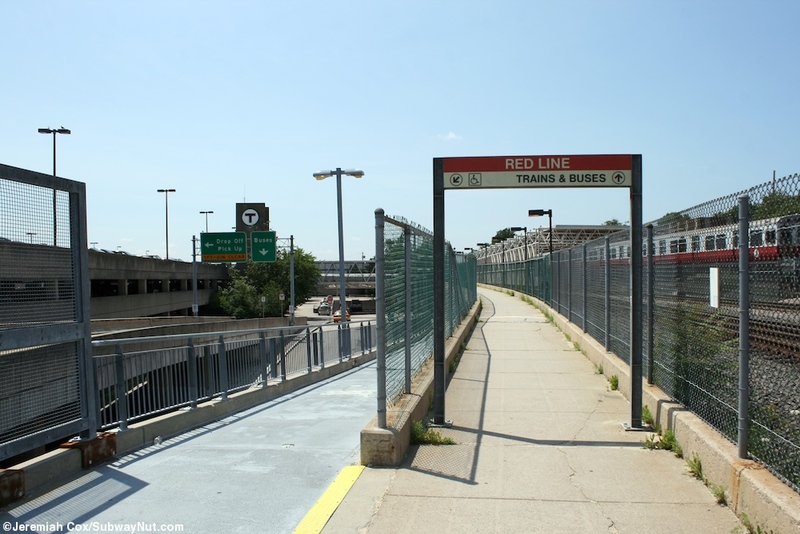 A fenced passageway that ramps down to the red line station or at the same level as the tracks for the parking garage provides transfer access or for parking.